Fellmeth was an attorney with the Center for the Study of Responsive Law in Washington, D.C., from 1968 to 1973, and was one of the original "Nader's Raiders," investigating the Federal Trade Commission in 1968. He served as a deputy district attorney for San Diego County and as an assistant U.S. attorney for the Department of Justice in San Diego, prosecuting state and federal antitrust violations. In 1980, he founded USD's Center for Public Interest Law, and in 1989, he founded the Children's Advocacy Institute. 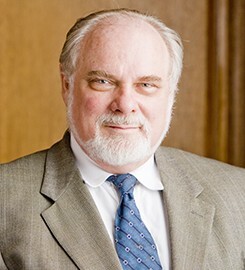 He joined the USD School of Law faculty in 1977. Professor Fellmeth teaches and writes in the areas of children's rights, public interest law, regulation, antitrust, and consumer law. Fellmeth has served on the boards of Consumer Union (publisher of Consumer Reports), California Common Cause, and Voices for America’s Children. He served on the Board of the National Association of Counsel for Children from 1996-2018, and currently serves on the boards of Public Citizen, the Partnership for America’s Children, The Maternal and Child Heath Access Foundation, and First Star. He is the former California State Bar discipline monitor (1987-1992). Cartel Control of Attorney Licensure and the Public Interest (with with Hayes) (forthcoming 2019); A White Paper on America's Family Values CAI (September 1, 2018); Shame on Us in 88 CAI and First Star (with with Weichel, Riehl, Samuelson, et al.) (April 1, 2018); California White Collar Crime and Business Litigation, no. 5th (with Papageorge) (Tower, 2016); “Expert Testimony in Child Related Litigation” in Handbook of Pediatric Forensic Pathology (with Chadwick) (Byard, and Collins, eds.) (Spiriner Publishing, 2014); “Legal Issues” in Child Maltreatment, Physical Abuse and Neglect, no. 4th (Chadwick, Giardino, and Alexander, eds.) (STM Learning, 2014); State Secrecy and Child Deaths in the U.S. in CAI and First Star (with Weichel, Riehl, Samuelson, et al.) (April 1, 2012); and Child Rights and Remedies, no. 3rd (Clarity Press, 2011). Submit changes to Robert Fellmeth's profile.